Dr Bach's system of healing is a method of self-help and self discovery that consists of 38 flower remedies which help manage your emotions, working gently to restore balance and emotional wellbeing. 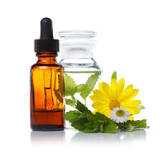 Flower Essences can be used safely by everyone as they don't interfere with any medication. For any questions regarding a Bach Flower Remedies Consultation & Flower Remedy Treatment Bottle, please contact Sharon, on 07881 658 797. Flower essences are herbal tinctures that contain the life force and energy vibration of plants, flowers and trees. All plants have a spirit or diva. They hold in their essence the energy of the water, the energy of the light and the energy of the earth. The plant energies integrate into the vibrational field of the bodies system. These powerful energies provide a positive balancing force, which in a natural gentle way, release the energetic patterns of old thoughts, attitudes and emotional issues that no longer serve you. The powerful natural energies that they contain promote harmony, balance and wholeness on all levels of your being, helping you to move beyond your limitations and discover your true potential. As you take the Flower essence, your vibration balances and your being resonates in harmony with the qualities of the flower or plant. They do not force change, but rather encourage a gradual shift in consciousness. Are Flower Essences safe to use? Absolutely. The Flower essences may be taken on their own and they complement other treatments and therapies. They will not conflict with any medication, are completely safe and have no unwanted side effects. They are gentle in action and can safely be taken by people of all ages from new-born babies to the elderly. They are also beneficial for animals and plants. Flower essences can be made up for you as often as you require. If you feel that you would benefit from the support of a Flower essence simply contact me and I will prepare a combination personalised to you and your needs.